Intensifying its plans to help clean up the world’s oceans, Adidas is increasing its recycled-plastic efforts to make 11 million pairs of shoes this year, up from five million last year. It launched the initiative with 1 million pairs in 2017. The shoes, along with a fast-expanding line of apparel, are part of its ongoing collaboration with Parley for the Oceans. The group intercepts trash on far-off beaches, including on the Maldives, before it makes it into the sea. It then turns plastic waste into yarn, which Adidas spins into shoe uppers. And this year, it’s also made a big splash using the upcycled thread in the Champions League jersey for soccer player FC Bayern Munich, as well as Alexander Zverev’s outfit for the Australian Open. Earlier this month, Adidas announced that the jerseys used in the National Hockey League 2019 All-Star game were also made of this ocean waste. 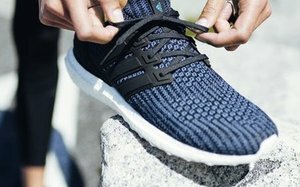 While Adidas has been an early advocate of such mass production, Euromonitor says a push for a plastic-free world is one of its top 10 consumer trends for the year ahead. “Plastics, such as single-use packaging for food and beverages and micro-plastics found in beauty, personal and home care, as well as plastics produced by the fast fashion industry, are coming under increased scrutiny as the ‘Blue Planet Effect’ shines a light on the plastic-based waste products that end up polluting the natural world,” Euromonitor writes in its annual forecast. Driven by shocking images of travesties like the “Great Pacific Garbage Patch,” people are looking for ways to avoid plastic altogether, and take action to reduce its impact.